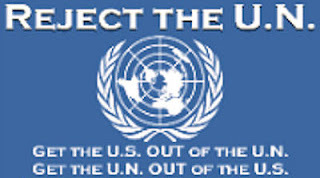 The H-1B foreign guest worker program, they claim, requires American employers to first show that they searched for and tried to recruit American workers before tapping an ever-growing government-rigged pipeline of cheap foreign workers. The foot soldiers of the open-borders brigade are lying, deluded, ignorant or bought-off. On Tuesday, the Senate Judiciary Committee brought top independent academics and informed whistleblowers to Washington to expose the truth. Sen. Charles Grassley, R-Iowa, hosted Howard University associate professor of public policy Ron Hira, Rutgers University professor Hal Salzman, Infosys whistleblower Jay Palmer and former computer programmer-turned-lawyer John Miano, who brought much-needed reality checks on the systemic betrayal of American workers to the Beltway table. How did this myth gain such traction? Many commentators and journalists confuse the labor certification process required for companies applying to obtain green cards (lawful permanent residency status) for H-1B workers with the Labor Condition Application (LCA) process for H-1Bs. Labor certification in the green card process “exists to protect U.S. workers and the U.S. labor market by ensuring that foreign workers seeking immigrant visa classifications are not displacing equally qualified U.S. workers.” Only in extremely narrow and exceptional circumstances do these nominal protections exist in the H-1B LCA process. (Companies must be classified as “H-1B dependent” for the requirements to apply. Big Tech giants like Facebook have been lobbying mightily to avoid the classification.) And even those narrow exceptions are easily and often circumvented by H-1B foreign worker traffickers. For a very brief window, Grassley and, yes, Sen. Bernie Sanders, I-Vt., a small group of H-1B-employing banks and other financial institutions that accepted federal bailout money from the Troubled Asset Relief Program (TARP) did have to demonstrate that they had taken “good-faith steps to recruit U.S. workers” and offer them wages “at least as high” as those offered to H-1B workers. In addition, the targeted employers had to show that they “must not have laid off, and will not lay off, any U.S. worker in a job essentially equivalent to the H-1B position in the area of intended employment of the H-1B worker” within a narrow time frame. But this American worker-first provision, vociferously opposed by Big Business and Big Government, expired in 2011. 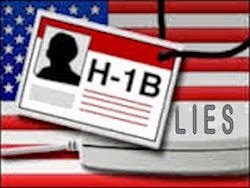 The refusal of the vast majority of politicians and the White House to embrace these protections for all U.S. workers tells you everything you need to know about H-1B’s big, fat lies. Tags: Michelle Malkin, Immigration, H-1B visas, recruiter lie, need to, protect, American workers To share or post to your site, click on "Post Link". Please mention / link to the ARRA News Service. and "Like" Facebook Page - Thanks!